Are you so busy that it is hard to memorize Scripture? To be honest, I struggle with this and that is why I am sharing my tips today as we make gratitude part of our journey through life. If you think you NEED this, so do I! Let’s join in this together as we Make Your Home a Haven. I have often said that I am terrible at memorizing Scripture but if the truth be told, I think it has more to do with making the time than how my brain works! Do You Make Time for These Things? We all have the same 24 hours in a day and with those hours, we choose how we will spend them. How often minutes get frittered away. Even if they are teens or now are grown and out of your home, you still have the same amount of time each day. If you have time to scroll through Facebook each day, I can assure you there is time for memorizing Scripture a little each day! How about texting a friend? Putting on mascara and eyeshadow? If you have time for some of the things above, I will show you how you can find time for memorizing Scripture. It really will be so much simpler when you have these 12 Scripture Memory Cards on Gratitude!! I really want you to memorize Scripture and although I’d love for you to subscribe to my newsletter, I am giving these to you today WITHOUT having to subscribe. Just because! What I want you to do is DOWNLOAD and PRINT them! I have more Scripture Memory Cards but you will have to subscribe to my newsletter to get access to them. Sometimes I just give things away totally without strings attached. 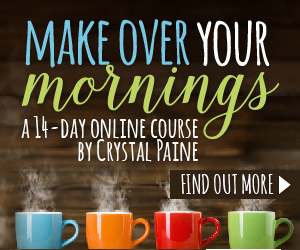 I really DO know that I give you value in each FREEBIE through my newsletter. Plus, my newsletter has things I write to you that you will never find on my blog. First of all, once you have printed these cute Scripture Memory Cards, cut all 12 of them apart. They come on two sheets but you don’t want to keep them all together. Remember the list of things that might be keeping you from having the time to memorize Scripture? Type out one verse in a text to a friend and commit to memorizing it with her! Stick one of the verses on your bathroom mirror and memorize it while you are applying your mascara and eyeshadow! When you are ‘stuck’ in the bathroom memorize a verse that you stuck near where you are sitting! Stick another verse on the car dashboard. When you are driving, memorize the verse! At the end of your Quiet Time, memorize a verse that you slipped in your Bible as a marker! Maybe you should have your Quiet Time before doing all those other things. I know that sometimes that just isn’t possible because you have a baby and toddlers like I used to have. The important thing is that you spend some time with Jesus each day as best as possible. That is why I stuck it at the end of the list because although you and I have good intentions, there are seasons in our lives that things just don’t work as planned. The important thing is to include Jesus in your day every day! I hope you are finding creative ways to include Jesus each day and memorizing Scripture is such an important part that I thought we should both do this together. If you are in my Facebook Graced Imperfection group, we will be talking about memorizing Scripture and some of the 12 Scripture Memory cards I have designed. If you are a creative journalist, you might want to join Jesus Journaling which is also on Facebook. Have you found this challenge to memorize Scripture helpful? How are you planning on implementing my ideas and thoughts and what do you have to add? 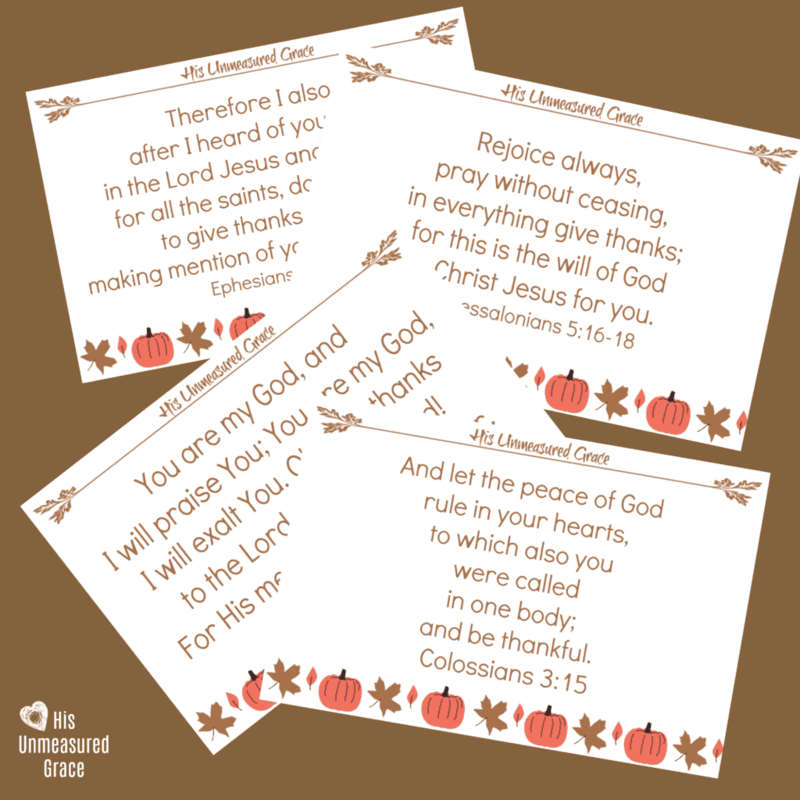 12 Scripture Memory Cards on Gratitude DOWNLOAD HERE! !